Pointe Santo Luxury Rental - Welcome! 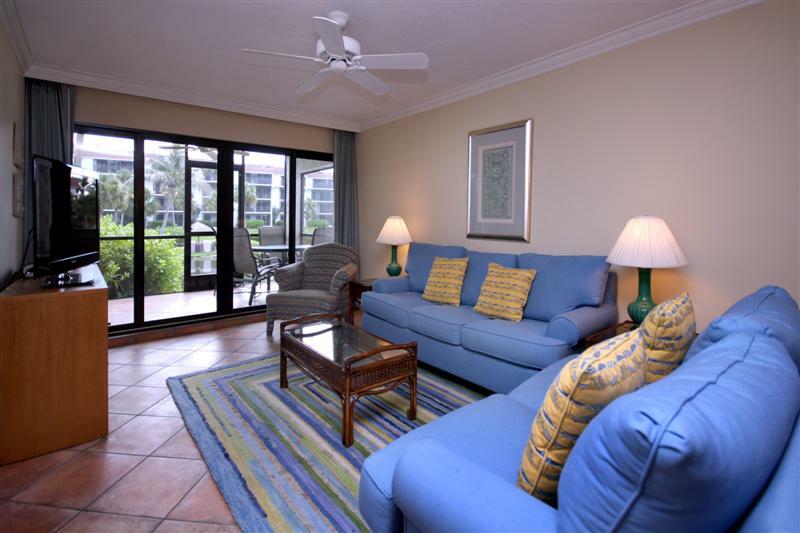 • Luxurious condo on the Gulf of Mexico. 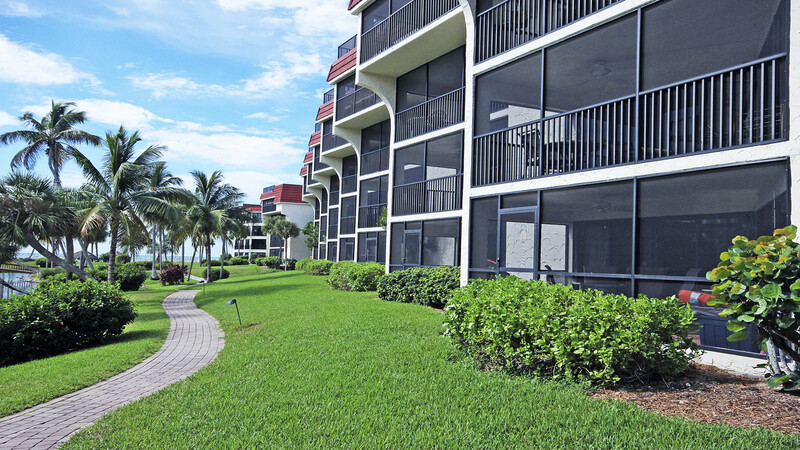 • Large ground floor corner unit with 2 bedrooms and 2 full baths..
• King size bed in the master bedroom & queen plus twin beds in the guest bedroom. • Savor Gulf views while eating lunch on the lovely screened lanai. 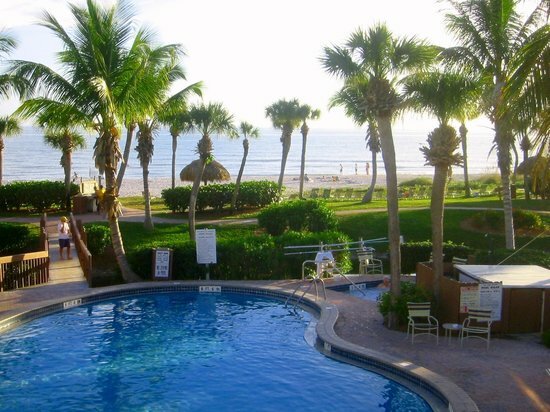 • One minute walk to the beach or pool. • Just renovated. New kitchen and baths. • Built in wet bar, wine rack and computer desk. • Deluxe new Bosch washer & dryer in unit. • Large HD flat screen TV in living room; 3 DVDs and 3 televisions with cable. • Free Wireless web throughout condo, at pool & clubhouse. 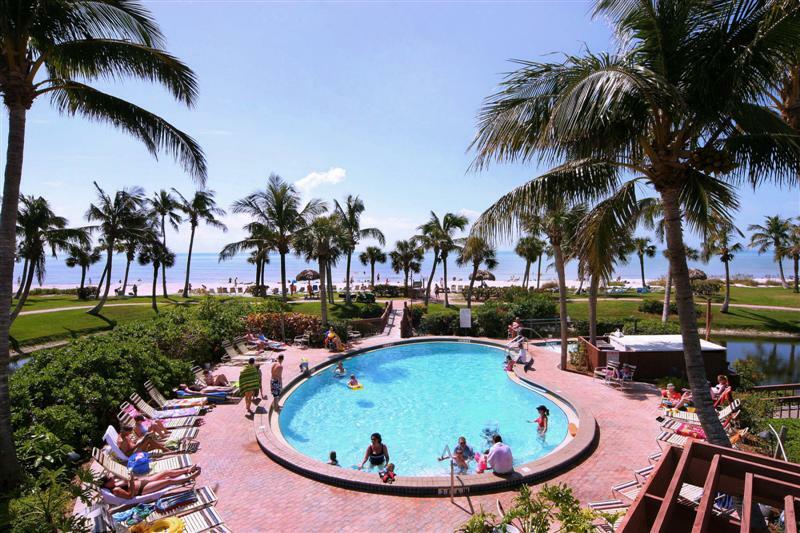 Enjoy Sanibel's best kept grounds lush with native, tropical plants. 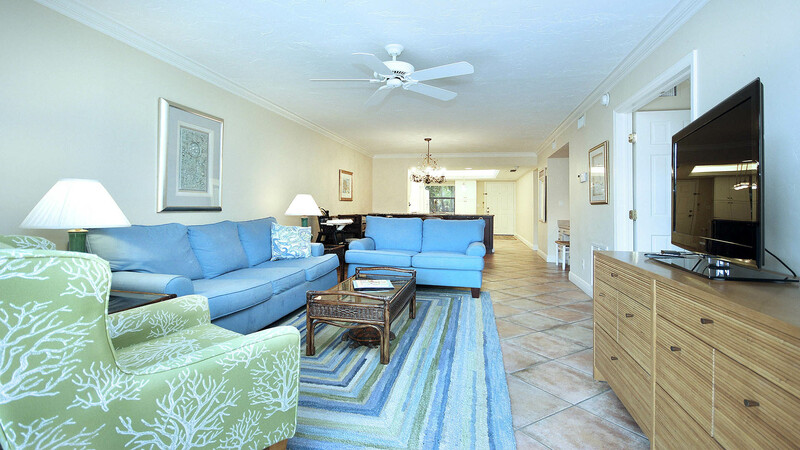 Pointe Santo features 10 beautifully groomed beachfront acres, clubhouse, heated pool, spa, 2 tennis courts with free loaner racquets, supervised recreation programs for children, new stainless steel BBQ grills, shuffleboard, picnic areas & onsite security.